Europe and North America: commonly denominated as ‘the Western world’, sharing the same popular culture in many ways, yet literally and mentally thousands of miles apart in their appreciation of sports and leisure activities. 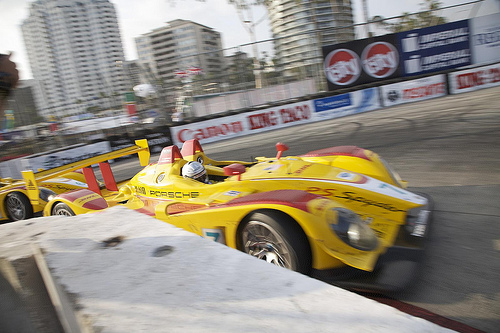 Motorsport is a prime example of the sporting chasm between the continents. Americans and – to a lesser degree – Canadians seem to enjoy a very different kind of motor racing compared to what racing fans in Europe are used to. But has it always been this way? And it’s not just motorsports. The chasm is present in various team sports, not just on a organisational level but in the actual sports as well. Europe has soccer and rugby, the North Americans have football. Europe has field hockey, North Americans prefer ice hockey. As the rest of the world – from South America to Japan – usually latches on to what is hip in the cradle of western society, even Canada enjoying acting European once in a while, most of the time the US is left in splendid isolation. This has led to numerous reproaches travelling across the Atlantic condemning European arrogance and American self-righteousness. These truly go both ways. The Old Continent often gets criticised for claiming ‘world’ status when in fact the various FIA championships are European-based with the odd ‘overseas’ round attached to it. Yet in the US ‘world championships’ are invariably hosted for any number of sports in which Americans are undeniably the best, with the rest of the world hardly having a look-in. In recent years, the United States have been more isolationist than ever. The broad American audience flocked around NASCAR when Indy-style racing shot itself in the foot by splitting up but also because Indy was swamped by Europeans knowing (and doing) better, up to the point that US open-wheel racing was regarded by many as a European version of their sport, with ‘sissy boys no-one wants to know’ (which they can't help) racing ‘them funny cars from Yurp’ (which in fact they are). This in turn helped strengthen the common European line of thinking that their drivers are superior to what the US grassroots manage to produce, and that their technology outclasses anything based on the traditional American way of doing things. Only in recent years that old-school approach has garnered more respect, with ‘European’ exponents such as Juan Pablo Montoya and several former Indycar drivers finding the competition on the Sprint Cup’s ovals a tad rougher than they perhaps thought beforehand. Frenchman Sébastien Bourdais storms to his fourth straight Champ Car title. Surely it can’t have been this way all throughout motor racing history, you say. That objection seems a fair enough, so let’s take a look at the relationships between European and North American motorsport over the past decades and centuries. Have the two worlds ever been really united? Or have the Race of Two Worlds and the Questor Grand Prix been the perfect examples of wishful thinking against the odds? Two periods seem to stand out when it comes to the physical and psychological proximity between the two trans-Atlantic capsules of motoring culture: the pre-Great War period of the 20th century and the 1960s. 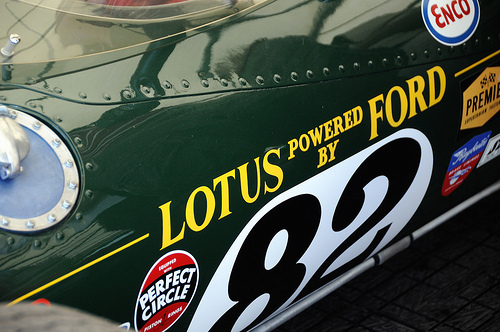 After a first full decade of rivaling automobile technologies and flocks of fresh motorcar manufacturers battling it out to sit at the front on that exciting new market, motor racing came on strong in the Edwardian age – and in truly international fashion. As the city-to-city events were starting to die out, businessman Gordon Bennett filled the gap by creating the Coupe Internationale, a World Cup of motor racing that has gone unparalleled since. Over in the US, 26-year-old William K. Vanderbilt, heir to a railroad fortune, further pushed the fledgling American auto industry to compete with their advanced European rivals by organizing the Vanderbilt Cup. All over the globe belief in a prosperous future by means of new technology was teeming. So as the Americans fought the best of Europe while racing in Britain, France and Germany, they at the same time welcomed Europe’s cars and drivers to their Vanderbilt and Grand Prize events at Long Island and Savannah, later adding to the international racing calendar the Elgin National Trophy, the Santa Monica Free-for-All Race and, of course, the International Sweepstakes event at Indianapolis. 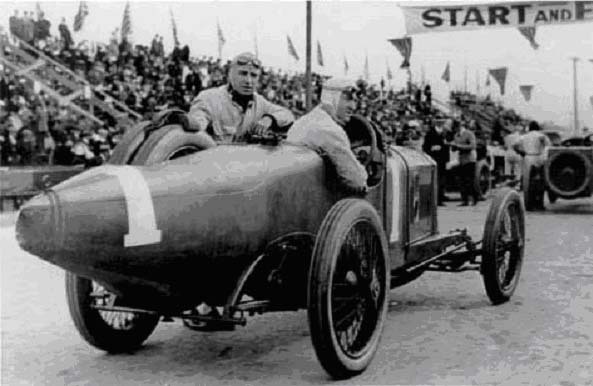 Dario Resta in his Peugeot ahead of the start of the 1916 Vanderbilt Cup. He would beat Eddie Rickenbacker's Duesy to follow up on his 1915 victory. Americans racing European cars in the US, Europeans racing American cars in the US, Americans racing American cars over in Europe – all were nothing uncommon in the era of George Heath, Jules Goux, Louis Wagner, David Bruce-Brown, Dario Resta and Barney Oldfield. Scenes such as Vincenzo Lancia and Louis Chevrolet racing FIATs against Joe Tracy’s Locomobile and Victor Héméry’s Darracq in the 1905 Vanderbilt Cup, or George Robertson’s ‘Old Number 16’ taking on Herb Lytle’s Italian Isotta and Emil Stricker’s German Mercedes in the 1908 edition, or Ralph de Palma racing a British Vauxhall at the 1914 ACF GP were ever-present up until the early twenties, when Jimmy Murphy and his Duesenberg won the 1921 ACF GP and the 1922 Indy 500 back-to-back. After that, though, American presence in Europe and vice versa became episodic. Mercedes brought Lautenschlager, Werner and Sailer to the Brickyard in 1923 but with indifferent results, as the two continents increasingly started gazing at their own bellybuttons. 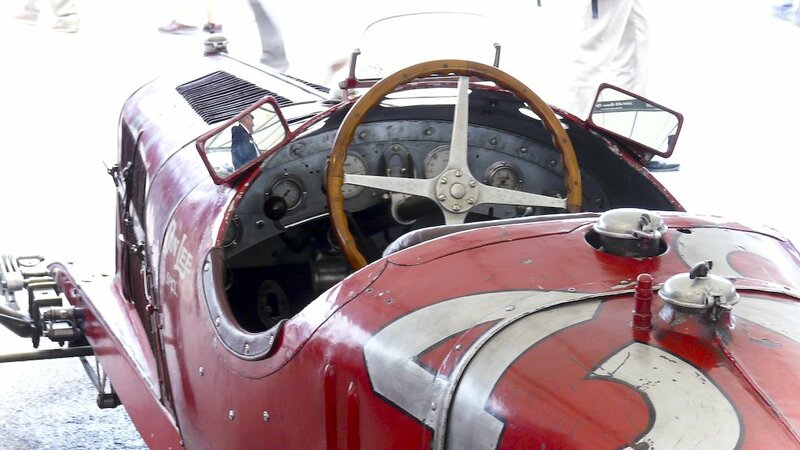 Bugattis, Alfas and Maseratis stayed in Europe, as did the Mercedes and Auto Unions of the thirties. Meanwhile, Indy became the battleground for home-grown specials. The first true sign of the chasm we now regard as normality announced itself when the AIACR came up with the idea of a proper World Championship for automobile manufacturers to follow in the illustrious footsteps of the Gordon Bennett Trophy. The first such championship in 1925 saw the inclusion of the Indy 500 and the participation of Duesenberg and Miller, but there is no doubt that this ‘world’ championship was in fact fully conceived in Europe. The American round, tellingly renamed the Grand Prix of Indianapolis by the Europeans, was added almost apologetically, and it soon transpired that none of the European contestants – Delage, Alfa Romeo, Sunbeam and Mercedes – were planning on sending cars over to the States. The European cars that did turn up – Pietro Bordino’s FIAT and Albert Guyot’s self-built machine – were very much private enterprises, not resembling anything close to a serious works effort. The fact that Duesenberg scored a World Championship point for winning the 1925 Indy race failed to excite any newspaper on either side of the Big Pond. Spa, the venue for the European GP, would be the place where the championship would really take off, and to the exclusive interest of motor racing fans in France, Italy, Germany and Britain, with a handful of attentive Belgians and Spaniards thrown in for good measure. Something might have happened when Wilbur Shaw conquered Indy with a Maserati 8CTF right at the end of the thirties but then war intervened. In an attempt to build on that hope in the immediate post-war period, Caracciola’s ill-guided Mercedes attempt did nothing to swing America’s attention back to Europe, and neither did the 6th, 7th and 8th places scored by Alfa Romeo’s 308 3-litre GP car in the respective hands of Louis Durant, Walt Brown and Johnny Mauro, after it was raced to 17th by Chet Miller in the 1940 edition. The same applied to the ‘Don Lee Special’ Tipo B that is now famous in historic events for its gloriously patinated outward appearance. Then a second World Championship dawned, and this time it would be given to the best driver. Again, this was a European invention, continuing the trend set in 1925, and once more including the Indy 500 on the calendar was another feeble attempt at justifying the championship’s world status. As the roadsters continued to reign at the Brickyard, Luigi Chinetti’s failed 1952 onslaught with the Ferrari 375 ‘Grant Piston Ring Special’ confirmed once more that Europe and America were simply unable to mix it. At the end of the fifties, though, things appeared to be changing. Perhaps the two Race of Two Worlds events at Monza, held in 1957 and 1958, didn’t contribute as such, as both were dominated by American cars and drivers, but at least it put American racing back on the European radar. In Grand Prix racing, Indianapolis was replaced by a proper US GP, first at Sebring and Riverside, before finding its spiritual home at the true road course of Watkins Glen. American drivers – from Phil Hill to Dan Gurney, from Masten Gregory to Richie Ginther, from Jim Hall to Hap Sharp – began coming over to Europe to race their Old World rivals. Mexico soon joined the F1 calendar, and even the Canadians were starting to take an interest in Formula One. Conversely, with the rear-engined revolution taking shape in Europe, the Indy 500 became a new hunting ground for British-based manufacturers and drivers – and this time they would never leave. The true world revolution, however, came about through sportscars. In a couple of years, the World Championship for Makes grew into a championship that finally was truly worthy of its name. Even though Sebring had been included from the start in 1953, the real change began in 1962 when the FIA opened up the championship to pay more attention to GT cars, and began mixing the Targa Florio, the Nürburging, Monza, Spa, Goodwood and Brands Hatch with Sebring, Daytona, Bridgehampton and Watkins Glen. At lower levels as well, both in Europe and America, Jaguars and Porsches regularly swapped ends with Mustangs and Chaparrals. On that firm foundation, Ford trying to beat Ferrari at Le Mans became the capstone on an impressive pyramid spanning right across the Atlantic. 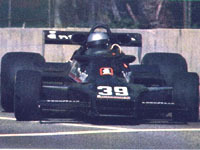 At the same time, the pyramidion was supported by the Can-Am series attracting the best of Europe to North America, with the Indy scene also becoming a magnet to European constructors. 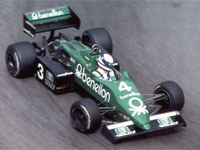 A second generation of drivers flying back and forth was led by Jackie Stewart and Mario Andretti, but by the time Peter Revson and George Follmer got their F1 breaks the gap was widening again. If the Races of Two Worlds were one bookend of the period, the Questor GP formed the other. Looking at the Edwardian era and the sixties on a broader scale, these two belle epoques in world motor racing have a lot in common. Both were periods of progress and boundless optimism, with Europe and the United States equally sharing the fruits of the world economic boom. It is no surprise that the joints were starting to crack into the twenties, a period culminating in the deepest economic crisis the world has ever seen. The same happened in the seventies. This time the oil crisis forced everyone back on their home turf. Daytona and Sebring began to have an on-and-off relationship with the World Sportscar Championship calendar, before finally disappearing in the early eighties, when the FIA created the new World Endurance Championship for Group C cars. Of course Japan followed Europe but IMSA’s GTP class stuck to its own regulations, forcing Group C constructors such as Porsche to create separate IMSA variants. 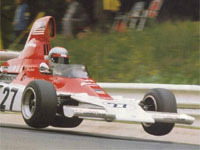 In Grand Prix racing, European-born Mario Andretti and Eddie Cheever were joined only on occasion by US high-flyers such as Mark Donohue (sadly cut short), Danny Sullivan and Danny Ongais. 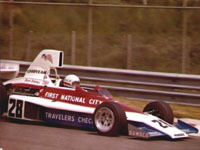 On the constructor front, Penske and Parnelli quickly retreated back to the US, leaving Don Nichols to close the door behind him after an embarrassly lengthy death struggle. Mark Donohue, Danny Sullivan and Danny Ongais provided US footnotes to a largely European-written World Drivers Championship book. Since then, the Two Worlds have grown into two very separate worlds again, and with a pretty huge disbalance at that. While American teams and drivers rarely venture outside of the US, European technology and driving skill have continued to swamp US racing series. They naturally focused on championships that resemble those of their own, i.e. 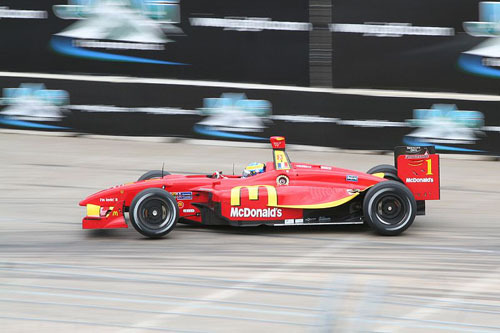 Indycar, Indy Lights, Toyota Atlantic, ALMS and Grand-Am, but in doing so inadvertently rendered them almost unrecognizable to the American public. Turning a blind eye to NASCAR, to which there is no real Old Continent equivalent, Europe has ironically boosted the oval series’ fortunes with respect to America’s other major motor racing championships. And in yet more irony, the series that tried to stimulate world union in sportscar racing – the ALMS – is now finding itself dealt with a poor hand by the ACO and the FIA. These two influential European-based governing bodies have now created a new World Endurance Championship with Le Mans as its centerpiece in an attempt to re-invent the brave new world of the Group C era, but at a cost to local series such as the ALMS and its European counterpart, the LMS. To counter its dwindling entry numbers the ALMS will be forced to allow in non-ACO-rules machinery, or even transform its regulations to such degree that the ‘LM’ part of its name will turn into a dead letter. At the same time, it will have to fight hard not to have its classic Sebring and Petit Le Mans dates nicked from its calendar by the usurping might of the new WEC. It’s IMSA GTP versus WEC revisited, with even more tragedy involved since this time the initiative to form a Le Mans-style endurance racing fraternity across the oceans came from America, not from Europe. Then again, it seems to be virtually impossible these days to expect any movement in the other direction. Several attempts to create a non-US NASCAR series failed miserably. Efforts to export the virtues of Indy racing to places such as Rockingham (the UK oval, that is), the Lausitzring, Zolder and Assen have all been met with a lukewarm reception. In this time and age there is simply no real Old World interest in the way the Americans go racing. So, the joint motorsport efforts between the US and Europe seem to act as a barometer of the depth of the political and cultural friendship between the two. Today, the mercury has dropped to worrying levels. Cliché and prejudice reign freely. Americans are illiterate cowboys shooting from the hip while Europeans are conceited wimps living off a rosy past. These views may not be held by the competitors or even the organizers but it’s the audience that pays.